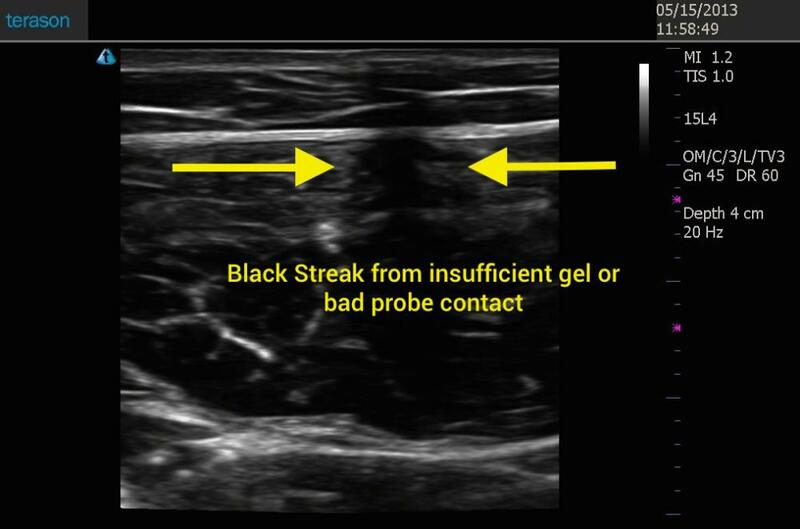 Apply gel to the probe or directly on muscle. Swirl the gel on the skin to remove black streaks. 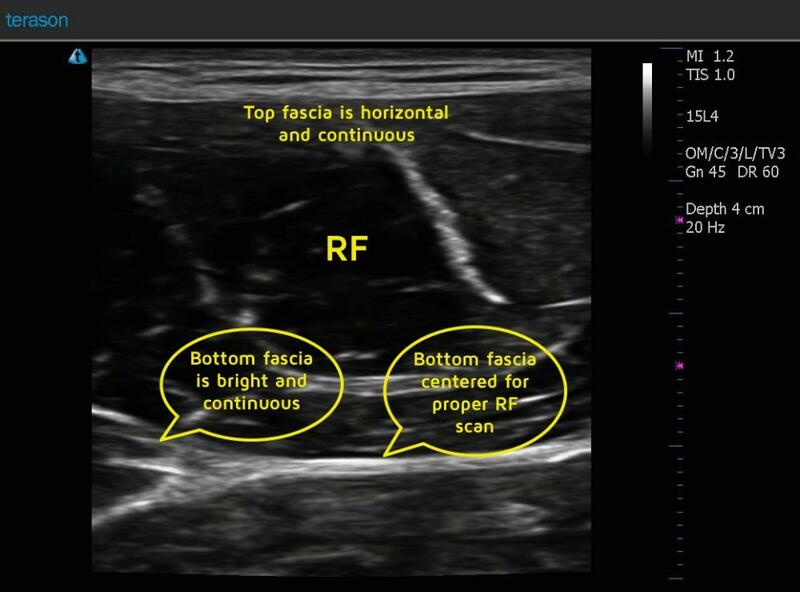 Locate the muscle on the UltraSound screen. Tilt the probe lengthwise so that the fascia on the top of the muscle is straight horizontally, and continuous. 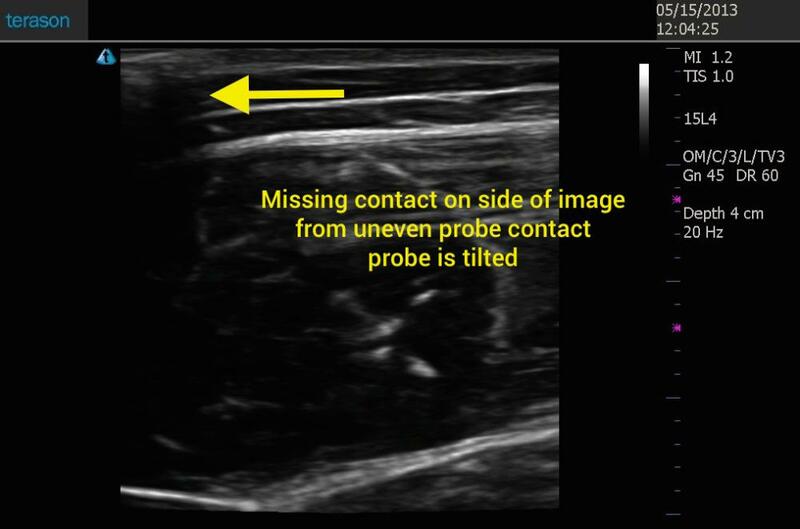 Tilt the probe widthwise so that the fascia on the bottom of the muscle is in focus and continuous. Too little pressure, the top fascia will not be horizontal (happy face shape). Too much pressure, the bottom fascia flattens out.